Found 3 file extension associations related to NovaMind and 2 file formats developed specifically for use with NovaMind. Mind Maps are diagrams that represent tasks, ideas, and information in a structured way. NovaMind is Mind Mapping Software, designed to help you be more organized, efficient, creative, and in control of your tasks. 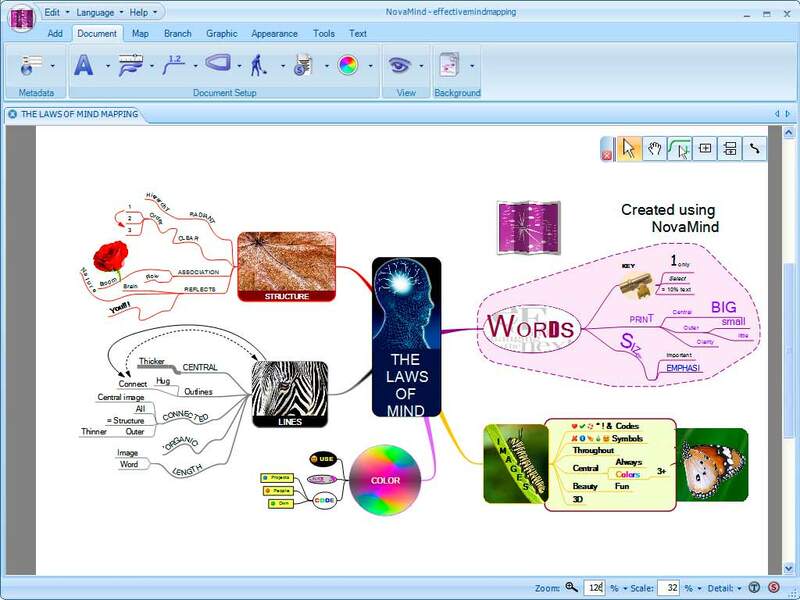 While you can draw basic Mind Maps by hand, Mind Maps Software like NovaMind allows you to brainstorm more easily, reorganize your ideas, easily alter the colors, layout, and styling in a way that would not be possible on paper, as well as attaching extra information like notes, hyperlinks, and task information. NovaMind Mind Maps software allows you to easily add, edit, and remove ideas, as well as showing and hiding information as required, so you can focus on the relevant information at the time. NovaMind is a Mind Mapping tool like no other. It is designed with 10 years of experience in developing Mind Mapping software, and has many unique features, which make it both powerful and easy to use. This Mind Mapping software gives you unequalled layout flexibility, while at the same time making sure that your topics don’t overlap each other. It allows you design freedom over the look of your Mind Maps while at the same time providing automatic coloring, themes and color sets for easy setting of styles. Every part of NovaMind has been designed through years of research and customer feedback to work together to give you the best Mind Mapping tool available anywhere. If you need more information please contact the developers of NovaMind (Nova Mind Software Pty Ltd.), or check out their product website.